* The Wireless Assistant isn’t listed as one of the downloads for the HP Mini 1000, so I was forced to browse Google till i found a different hp laptop that had it for download. Only requirement I needed for it was that it run on Vista. 2. Now install the HP Multi-WWAN Drivers, this is the latest drivers and I had no problems with the installation or it’s appearance in device manager. 3. Install the HP Wireless Assistant*. 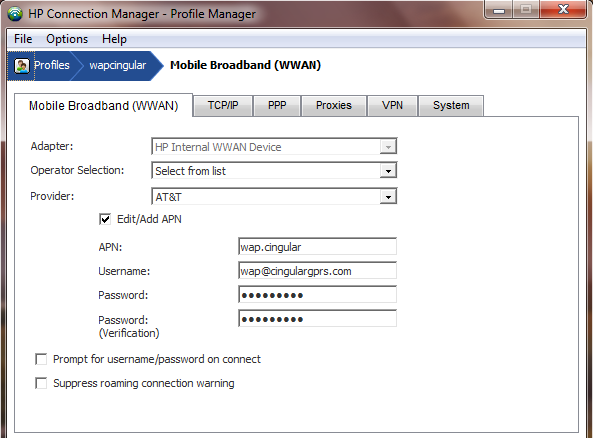 This will help the connection manager control the power’d state of your WWAN PCI-e card. 4. 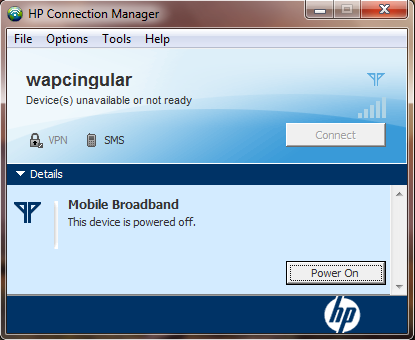 Lastly, install the HP Connection Manager version 2. They just released this software back on 3/19/09. This is a welcome release. Before when i was running Windows 7 Beta, I was forced to use version 1 which required administrative permissions to execute. 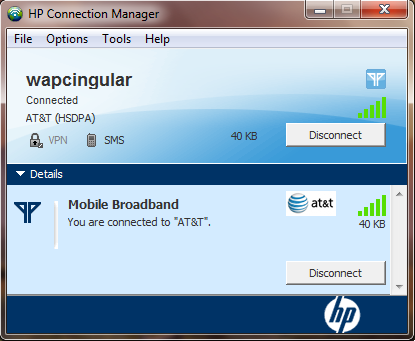 I was able to get cellular broadband to work with BETA… but this solution here is far better!!! Save all that and you’re ready to test your connection. That’s it. You’re now online and active… enjoy those 3G speeds!!! I ran into a little problem with getting a “fresh” Windows 7 installed on to my net book. After a bit of research I found the following procedure… and it worked perfectly!!! Without further ado… here are the Vista instructions for how you can create a bootable USB drive to install Windows 7 on your system. On the Start menu, navigate to the command prompt entry. 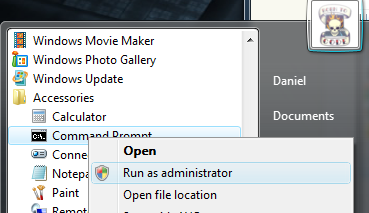 Right-click and select Run as administrator. Record the disk number of your USB flash drive. List the current partition. Record the partition number. 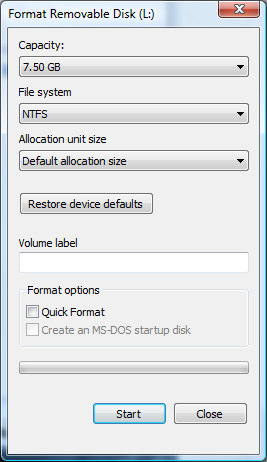 Select the current partition and make it active. Download Windows 7 file to your desktop. Download and install PowerISO from http://poweriso.com/. HP Mini Restore Problem… Solved!!! Recently I installed Windows 7 Beta on my netbook, then wanted to test the restore process to get it back to Windows XP. 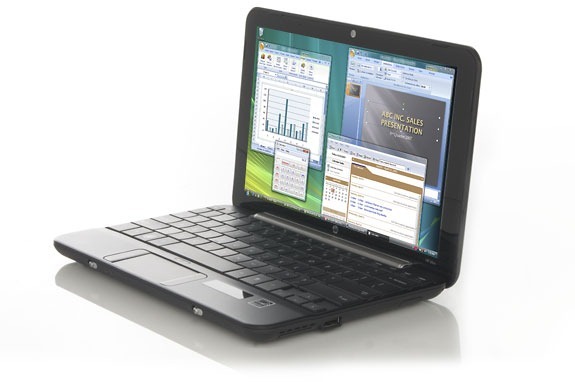 I used the windows home server to backup my netbook originally and to backup the installation of windows 7. This, I thought, would allow me to jump back and forth between XP and W7 at will. The biggest problem happened though. The windows home server bootable restore wizard doesn’t recognize my netbooks LAN card. Thus making restores impossible. 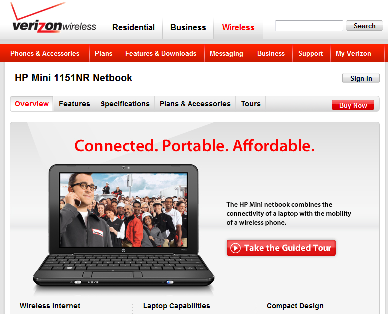 I was distracted for a short time while I exchanged the netbook for another with a WWAN card. But now I’m back and solved the restore problem. A long time ago I purchased a copy of Acronis TrueImage Workstation, a backup/restore solution I was using to backup customers hard drives. 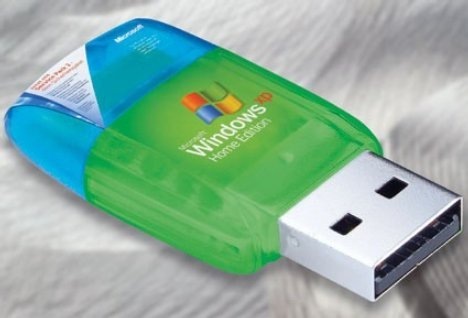 I used it to create a bootable disk on one USB thumb drive, and used a second much larger thumb drive to backup my XP image. 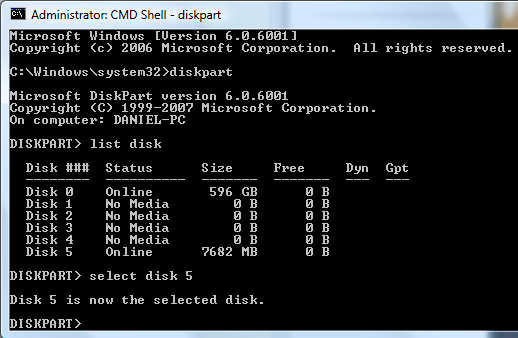 Now I can restore my XP drive at will… Yay!!! Thus giving me the comfort level to move forward with additional Windows 7 testing. So… I purchased my mini without the WWAN card and purchased it separately in an attempt to save myself $50. It worked kind of… I got my mini in and a week later I got in the WWAN card via a separate order. I open up the mini to install the WWAN card and to my dismay I find no WWAN antenna wires. 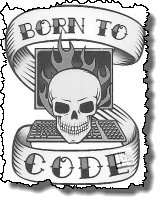 So what does any sane person do… refer to the manual. I locate the product number of the antenna and proceed to call HP to order the missing part, this is where things get interesting. My persistence paid off though… After 3 hours I got round-robined back to someone who passed me along 15 people ago. He felt so bad, I’m guessing, that he helped me from that point on. They were not able to get me the part I needed and offered me an alternative option: Return the Mini I had and order another with exactly the pieces I need. In the end I spend an additional $60 from my original order… and I can now return the WWAN card I ordered separately and get that money back. All said and done, I should have ordered the mini with the WWAN card in the first place… but I was trying to save a few bucks.